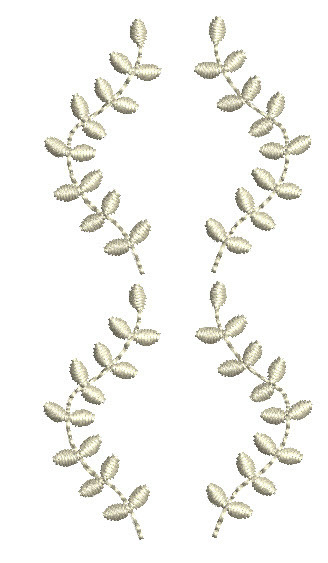 Here you see GFE-GEO-6-1 embroidered in a row that gives a pretty scallop effect. These are some of the interesting tiny vertical embroidery panels that you can create, most of which will work horizontally too. How about taking two tiny sprig designs (designs #5 & 6) and creating an all over fabric to use for the sleeves, bodices or collars, to add contrast to your work? 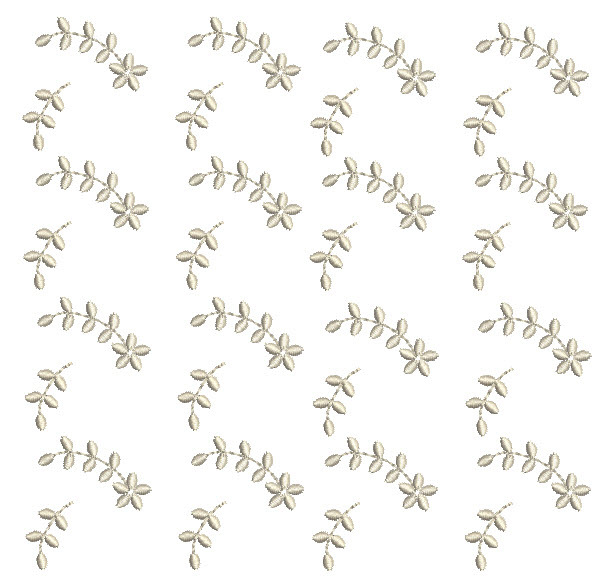 A single or double upright of the largest sprig (design #10) will work perfectly and you can add the single flowers as a scattering or in some order. 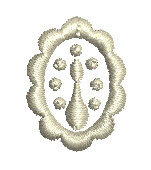 If you load GFE-GEO-6-31 in your embroidery software you can easily isolate the buttonhole as it has its own colour way. Combine it with the small flowers (design #4) for a band to insert, making sure that everything is aligned. The result is under about half an inch high and just over three and half inches wide, and can have ribbon threaded through it. It is such fun to create these combinations, I can see a competition coming on!! 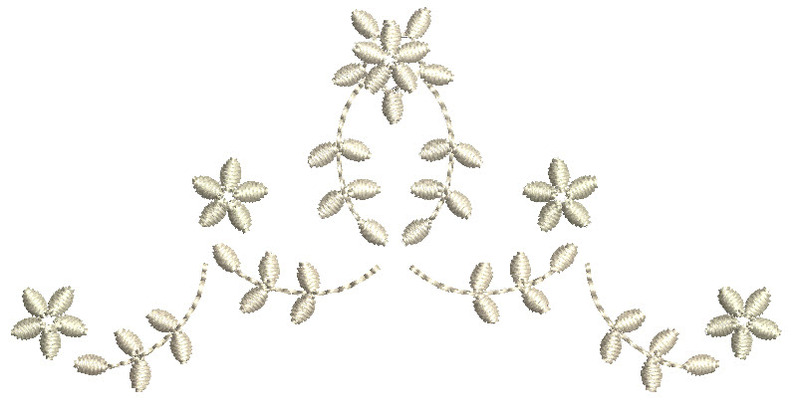 A lovely centre design created with design #11 and #28, measuring 3.30″ by 1.64″. Simple yet stunning! Time and time again I am convinced the shape of embroidery is so important. This is an elegant row of design #26. Add little hearts (design #9) underneath and it is still only one and a half inches high. Just imagine all the collars, front panels and sleeves you can embroider. Obviously this set has plenty of single motifs which you can use, like the bow, the two hearts and the oval motif, or just use the sprigs and flowers in a random fashion. Have fun and create something beautiful to be cherished for many years. The Georgiana mini set of designs should be released by 13th May and the PDF which comes with it contains many more ideas and suggestions. This entry was posted in Discussing machine embroidery, New Designs and tagged combining embroidery designs, embroidery designs for dolls clothes, Heirloom, machine embroidery, Outline alignment stitches, Placement of designs. Bookmark the permalink.